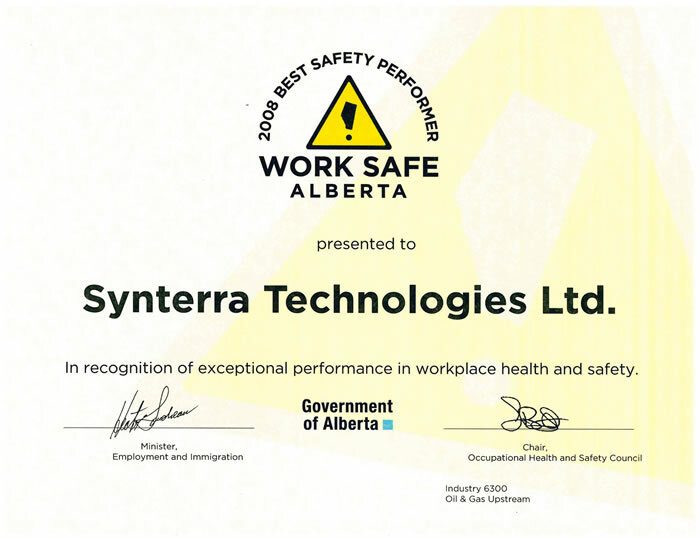 Health, Safety and Environment (HSE) is Synterra’s priority, our excellent safety record exemplifies this. At Synterra, we take a proactive approach to safety, our safety manual and practices exhibit our dedication and commitment to promoting the highest safety standards. Synterra is proud to meet or exceed all government and industry standards with our safety program, as evidenced by our Certificate of Recognition (COR) in partnership with ENFORM, which is awarded to employers who develop health and safety programs that meet or exceed established government and industry standards. 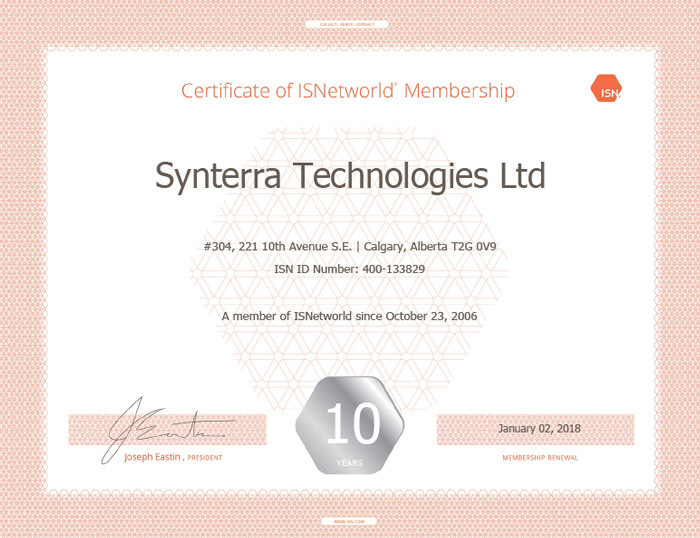 Synterra is an active member with ISNetworld and ComplyWorks. 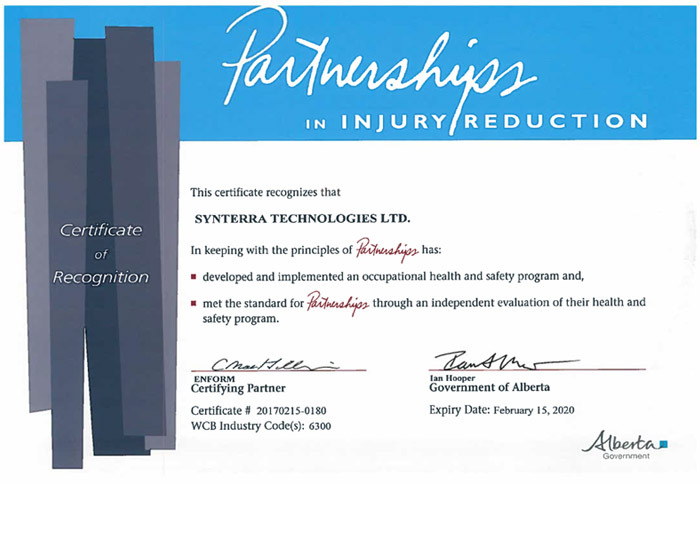 A copy of Synterra’s safety manual, safety statistics, insurance, Workers Compensation Board clearance letters and certifications are available upon request. Please click here to request your copy of our safety package. Synterra is proud to meet or exceed all government and industry standards with our safety program.